While cleaning the house, we often forget to clean window sills, but clean sills can give your home an extra glow while preventing mold. Follow these steps to clean your sills. Dust or vacuum the window sills. Mix 1 cup of white vinegar and 1 cup of ammonia in a bucket. Wipe the window sills with a soft rag soaked in the vinegar/ammonia mixture and wrung out. 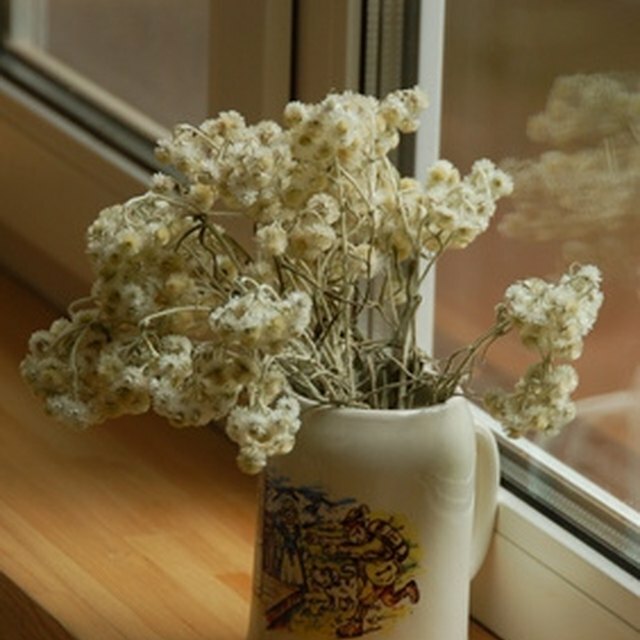 Clean the hard-to-reach corners of the window sill with a small brush. Rinse the window sill with water. Allow them to air dry or dry them with a dry, soft rag. Mix 1/2 cup of rubbing alcohol and 1/4 cup of water in a bucket or large bowl. Rub this mixture onto the difficult spot with a rag. Rinse and dry if desired. Make a large batch of the white vinegar and ammonia mixture and put it in spray bottles for future cleanings. Q-Tips also work well in small areas. Keep the ammonia mixture away from children.